When you can watch one 65 minute Gloria Talbot thriller, one might as well make it a double feature that comes in at less than two and half hours in total. 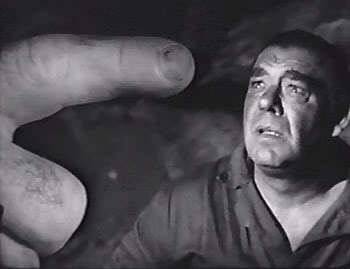 While Gloria’s most popular exploitation title might be I Married a Monster From Outer Space, I thought I’d go with her appearance opposite Lon Chaney Jr. in the first and another working under cult director Edgar G. Ulmer in the latter. 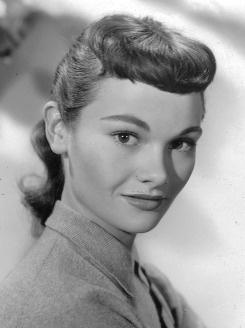 For this Bert I. Gordon production of “epic” proportions, Miss Talbot has recruited three men to lead her into the far reaches of Mexico to locate her missing fiancée. He’s been gone three years and though he’d sent distress signals from his downed plane, no one has ever located him. Dead or alive. 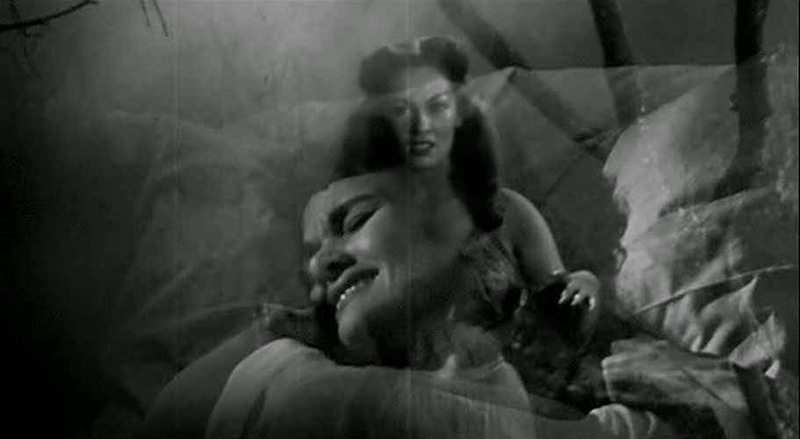 In a small four man plane and against the wishes of a Mexican Senator, she’s flying inland to a barren mountainous area with Tom Drake as her pilot, James Craig as a friend who hopes to claim Gloria for his own if they can clear up her fiancé’s disappearance and lastly, our icon of horror cinema, Lon Chaney Jr. as a loose cannon who hopes to locate uranium in the mountain peaks of Mexico making them all rich. Is it just me or does this far reaching area of Mexico look just like Bronson Canyon where countless fifties sci-fi flicks were produced? The small plane gets caught in some major winds and with a bit of panic in the cockpit, comes to a halt in a valley of peaks. Lon’s uranium locator has gone off the charts. So much so that lizards and eagles have grown to resemble the size of dinosaurs and pterodactyls. “That doesn’t sound like wild turkey.” Craig is heard to say. Along comes poor Gloria’s fiancée looking a lot like The Amazing Colossal Man, another Gordon release of the same year. Like the animals exposed to the uranium, he himself has grown to jolly green giant size. Sadly his mind is gone, he has one eye and a distorted face. He’s just not that friendly and our quartet of Americans are on the run through Bronson Canyon as they attempt to stay alive long enough to get back in their plane and back to safety. Borrowing a scene from King Kong, our overgrown fiancée will tangle with a giant snake when Gloria seems to be in peril. She’d best get going back to safety but not before Craig explains to her the shocking truth that we’ve known since the three minute mark. 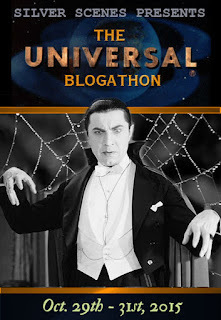 Lon’s participation here kind of makes this grade C sci-fi outing a must see for us fans of the horror films that he and his cohorts from the early days of horror cinema appeared in. This one is out as part of the Warner Archive Collection if you are so inclined. Gloria doesn’t let us down here either with a top of her lungs scream when something with one giant eye in point of view fashion gets a little too close for comfort. 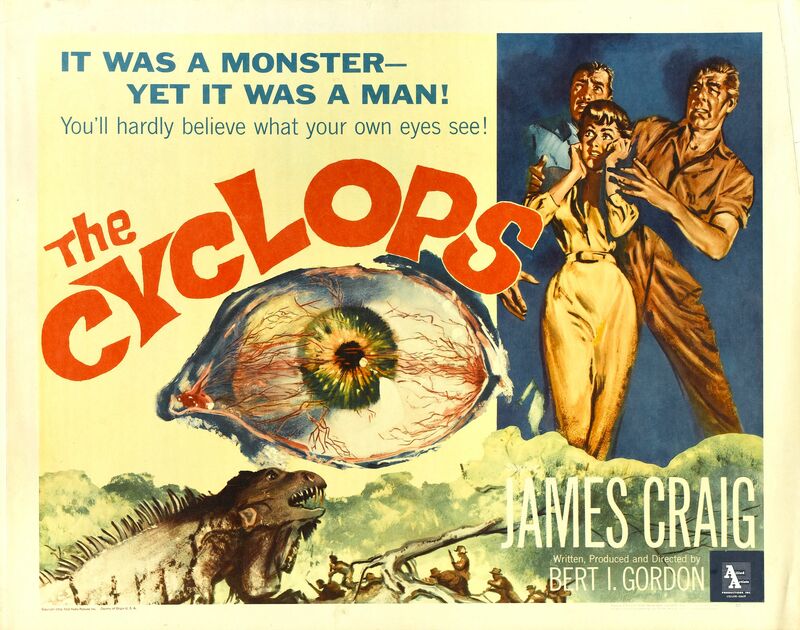 In actuality, Cyclops was released on a double bill during the season of ’57 with the second film here…. Now on to the better half of this drive in double bill. I say better half because of my love for the old fashioned thrills that are steeped in the Universal Monsters style of horror films. 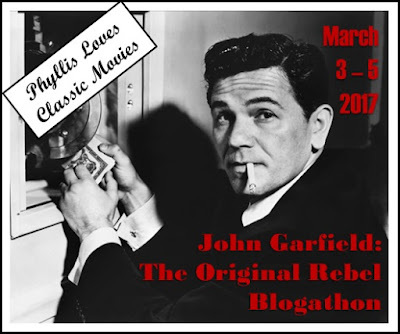 Joining Gloria this time out is genre favorite John Agar as her fiancée and protector from the strange goings on at the estate of her guardian and benefactor, Arthur Shields. When Agar and Talbot arrive in an antique automobile at the estate overseen by Shields, they are in for more than they bargained for. For starters, Shields reveals that he isn’t the owner and isn’t wealthy. The home and all the wealth are actually belonging to Gloria. Looks like Agar’s hit the jackpot. That is until Shields reveals her true heritage. 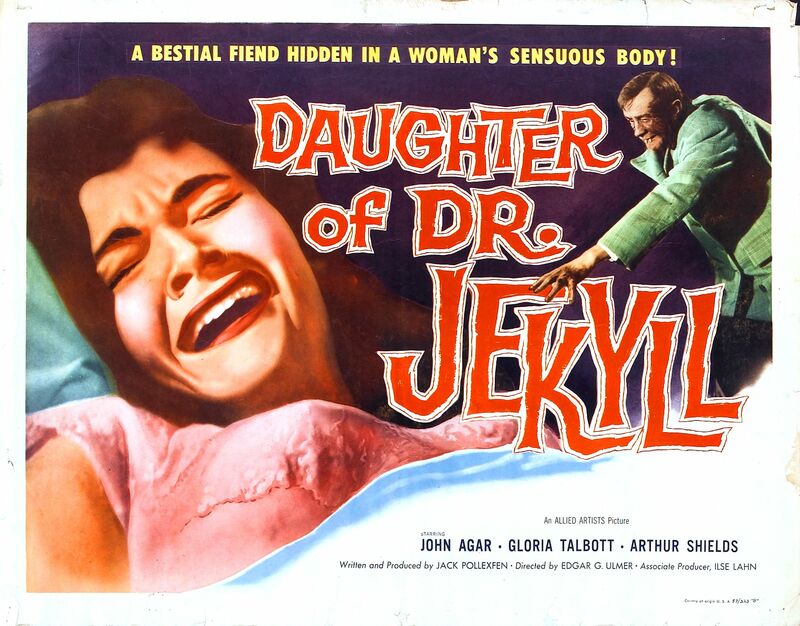 Now that’s she’s of age, he’s honor bound to tell her she’s the daughter of Dr. Henry Jekyll. Apparently a werewolf by reputation in the village. 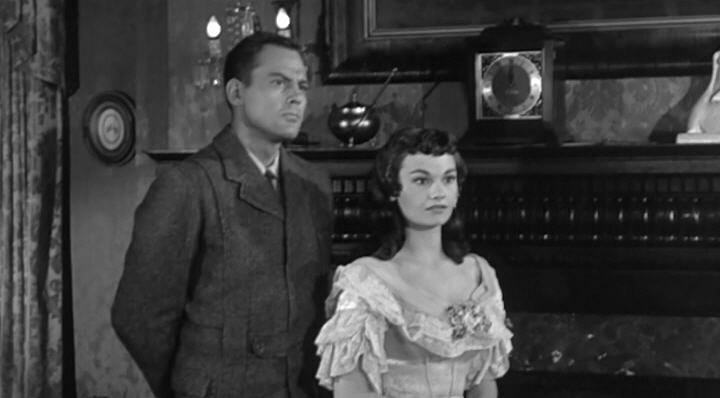 Usually a western heavy, John Dierkes is about to imply she isn’t welcome and when a young girl serving as a maid in the mansion is found murdered with her throat torn out, all eyes are turning towards our leading lady. More so when she awakens with blood on her hands and smeared over her white night gown. Injected into the film are some very effective dream sequences that I suppose we should thank Ulmer for. A demon like Gloria is seen through a foggy mist stalking and attacking victims only to awaken distraught and sure she is responsible for the deaths of the young women from the village. “This is ridiculous. We’re living in the twentieth century.” pleads Agar. Shields’ is also a doctor and doing his best to settle the nerves of his charge. “I hope I’m not overdoing sedatives. They can have a nasty effect.” No kidding, Arthur. As we shall soon see, Mr. Shields isn’t the gentle soul his real life brother Barry Fitzgerald always seems to portray in those John Ford films. The truth is that Shields is of course the werewolf of the piece but I don’t think I’m ruining it for anyone. 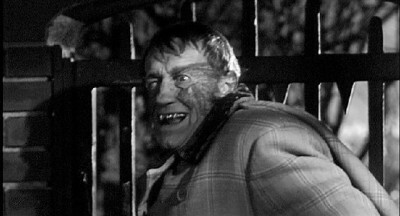 It’s a rather ineffective make up job in the Henry Hull fashion of The Werewolf of London. Shields comes off looking more like a sexual pervert than he does a terrifying werewolf that might be prone to tearing your throat out. Thankfully for Gloria, she has Agar about to help solve the mystery and step up to fight Shield’s inner demon. 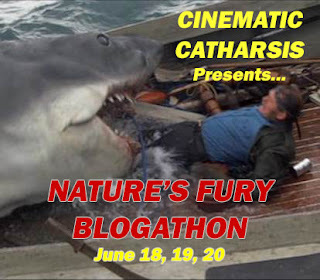 As a seventy minute feature, this one rolls along in a fun fashion that harkens back to the thirties features and if I’m not mistaken, we might even have some stock footage from the Frankenstein films slipped into the negative of the customary villagers running amok with torches in hand. Shields is miscast but adds to the camp with his wolf like performance. 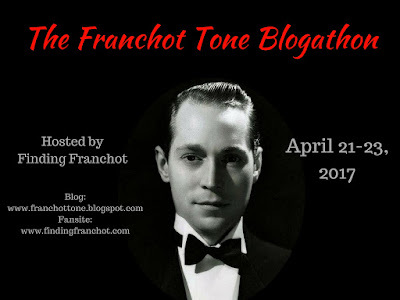 Agar adds another title to his growing list of low budget fodder that he’d be remembered for and Miss Talbot gives Ulmer’s film a fine damsel in distress. She runs about for much of the film in her white nighty looking both attractive and in need of a hero at the same time. Should you give this one a look, you won’t help but notice at the 13 minute mark a few cars passing a window in the background of a breakfast scene. Kind of surprising for a secluded estate and a film meant to be a period piece. It’s ok though, it just adds to the fun. Ulmer’s greatest horror is surely The Black Cat but even films like these have their moments thanks to his talent. Here it’s clearly the dream sequences that give it an extra thrill that rank this above some of the other low grade product turned out regularly in the horror genre. 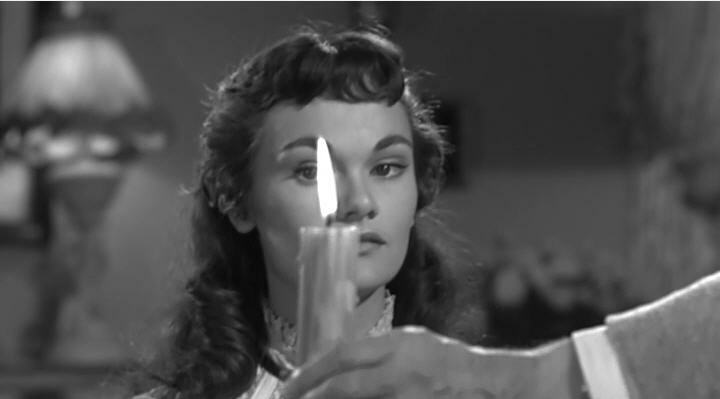 Now that I’ve sat down for this double helping of Gloria horrors, I’ll have to squeeze in I Married a Monster From Outer Space and The Leech Woman next time around. 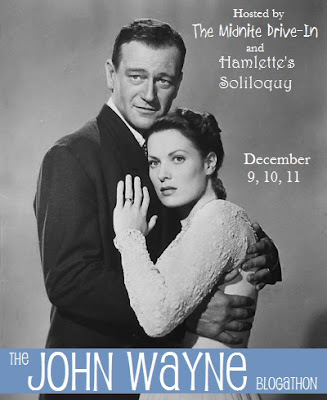 A very well chosen double bill of Allied Artists quickies. apparently she did not think much of Gordon. 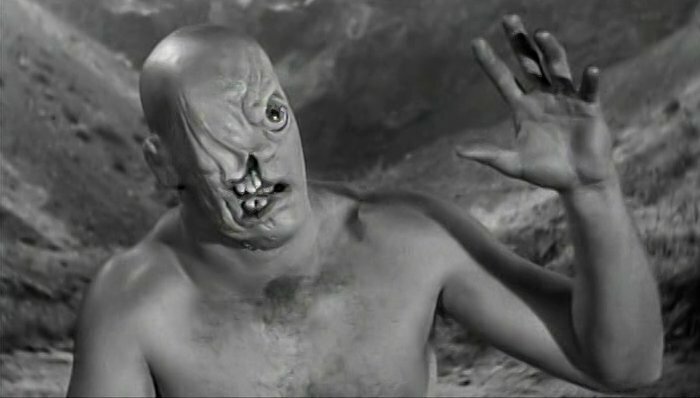 THE CYCLOPS has a much better cast than it deserves. 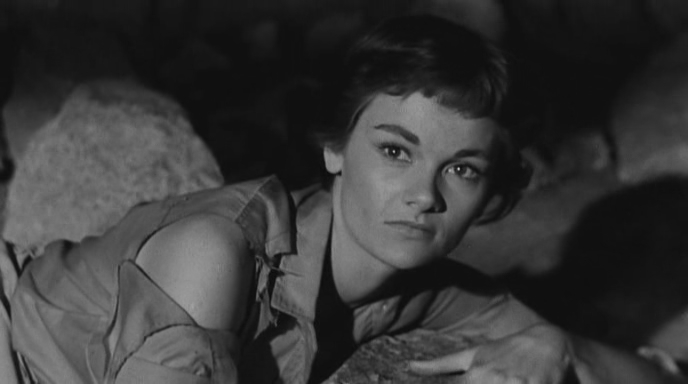 I always thought Gloria was kind of cute. 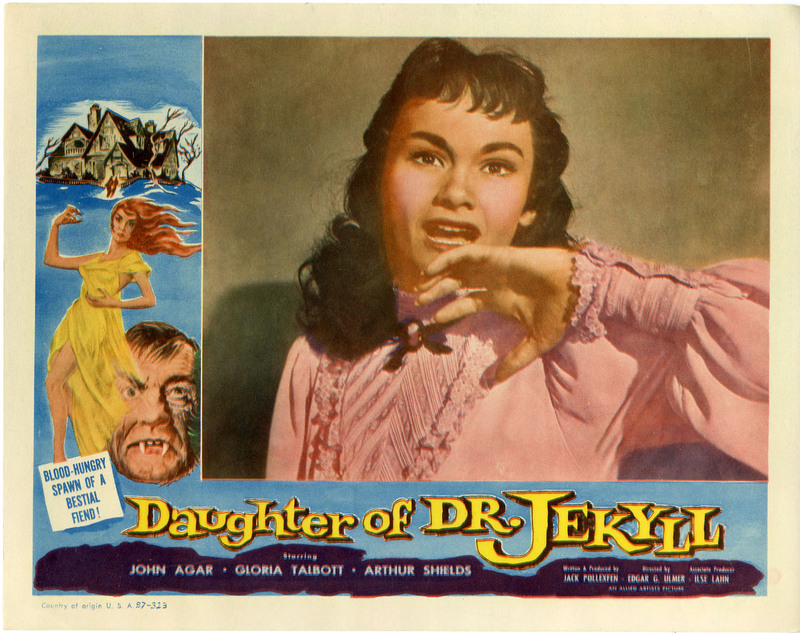 I have read an interview she did and yes she liked Ulmer and spoke fondly of Chaney as well. Cyclops kind of a dud but Jekyll has a nice nostalgia feel to it.